The neighbourhood and the mosque are called as Tahta Minare (Wooden Minaret) due to the mosque’s previous wooden minaret. It minbar was repaired in 1875. The iner space of the mosque is square with 8.60m each side. Last congregation section is three metres in width. Its once wooden minaret was rebuilt out of stones and bricks. The mihrab of the mosque which has a wooden ceiling is of Kutahyan encaustic tile. The mosque was once more repaired in 1957 by the helps of the beneficent members of the congregation. A very nice mihrab was built and the verse of “mar’uf” was written that is about mihrab itself. The long Windows are the signs of last period’s archite cture. The close by Turkish bath was also a foundation of Fatih Sultan Mehmet. The direction of mihrab is among the most precise ones in Istanbul. 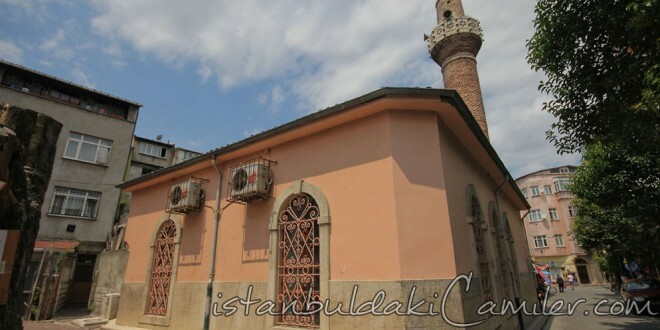 It is written in the five-line repair epitaph located over the gate of the last congregation section that the bath attendant of Tahta Minare, Kantari-zade Halil Efendi of Sivas had this mosque completely repaired in the years 1865-66. Halil Aga also had the close by public fountain, which had been built for Suleiman the Magnificent, renewed. The person who rests in the grave in front of the kiblah wall is a person who attended the battles fort he conquest of Istanbul. This mosque has neither a graveyard nor a threshold.